It is rare when a band performs together for a decade much less two decades.....But Austin's EXTREME HEAT has a performance life that spans five decades. 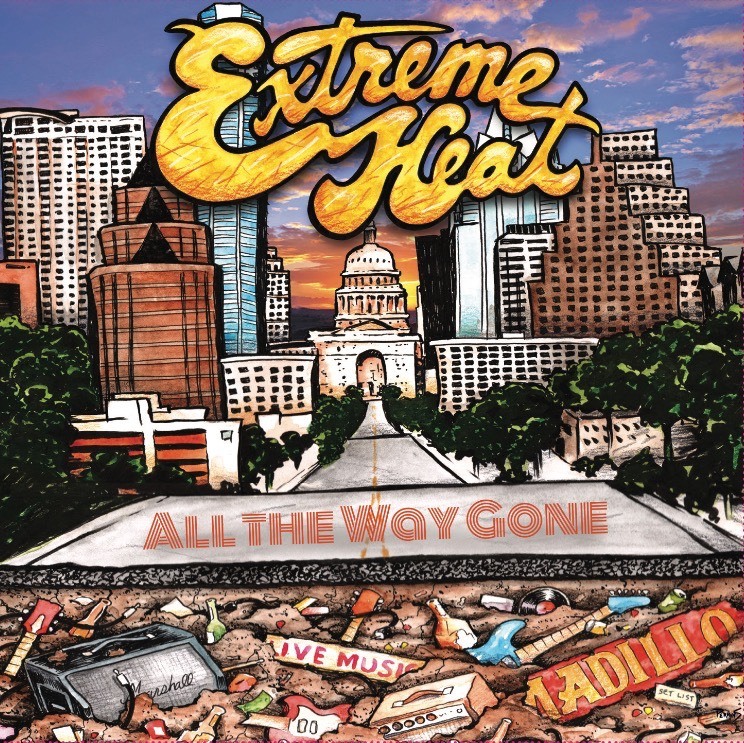 Formed in 1977 from the critically acclaimed band Steam Heat, EXTREME HEAT cut its musical teeth playing legendary Austin venues like the Armadillo, Liberty Lunch, Steamboat, Antones, and the Saxon Pub. During the 1980's and 1990's EXTREME HEAT's eclectic, funky, jazz, and rock influenced sound was heard throughout Texas as a constant presence in the clubs and music festivals of Houston, Dallas-Ft. Worth, San Antonio, Corpus Christi, Lubbock, Amarillo, and Tyler. It was also during this period that the band released four albums and were the winners of readers polls and the subject of reviews and articles in music publications across the state. In the 40 years they have been together, EXTREME HEAT has traveled and performed extensively throughout the U.S.A. They were especially well known to audiences in Colorado, New Mexico, Oklahoma, Louisiana, and Arkansas where they came to represent the Texas and Austin music scene to a generation of listeners in those states. With the release of a new 4-song EP in 2018 “All The Way Gone,” 2016 CD “Year Before The War,” 2013 CD Soulstice, and 2 CD's in 2012, Live at the Saxon Pub and Put Some Weight on It ! , EXTREME HEAT continues to entertain audiences with their funky 'old school' sound 35 years after their inception.